Mini Med School – Healthy Berkeley | It's up to us! Learn how to focus on nutrition and physical activity to be healthy year-round…not just during the holidays! 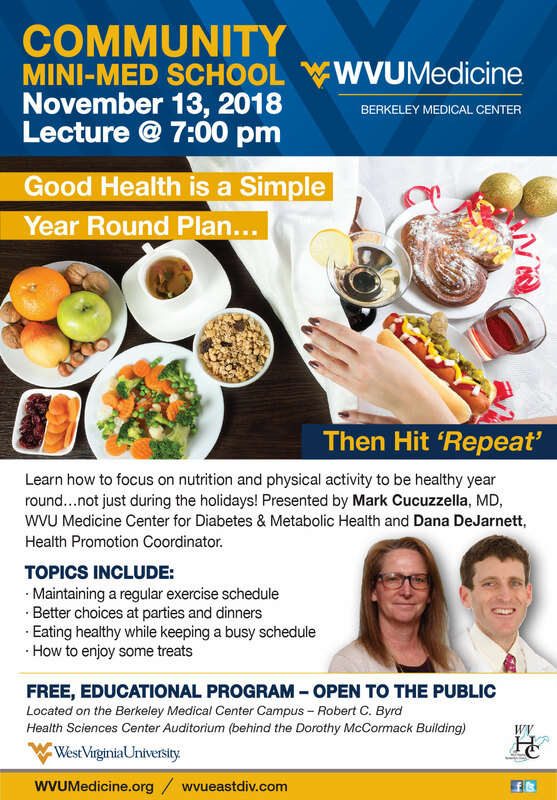 Presented by Mark Cucuzzella, MD, WVU Medicine Center for Diabetes & Metabolic Health and Dana DeJarnett, Health Promotion Coordinator. © Healthy Berkeley | All Rights Reserved | By Hersick+Webster.